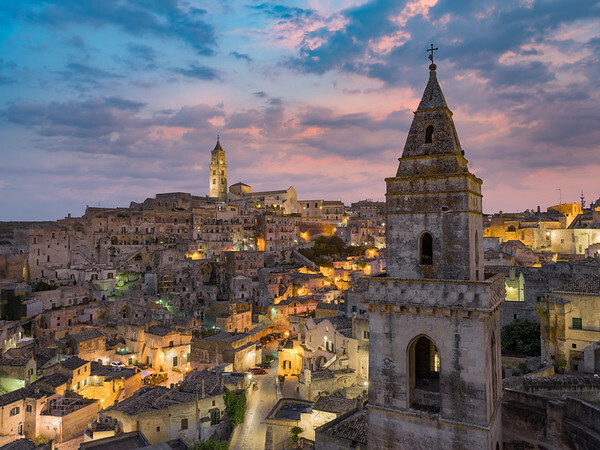 The ancient city of Matera in Southern Italy is stunningly beautiful and holds a wealth of history and culture just waiting to be discovered. 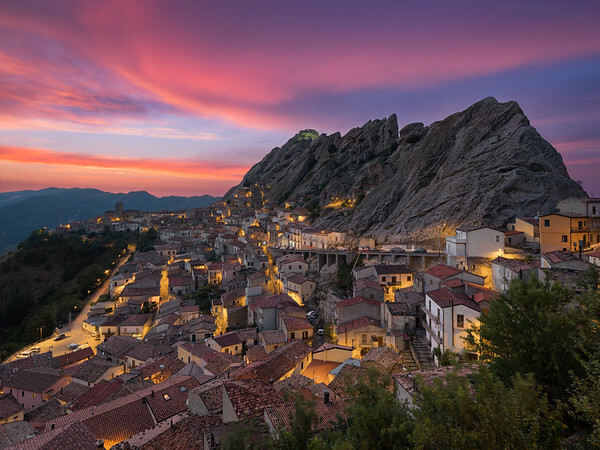 An intense sunset over beautiful Pietrapertosa, a hidden gem nestled within the Southern Dolomites in Italy. 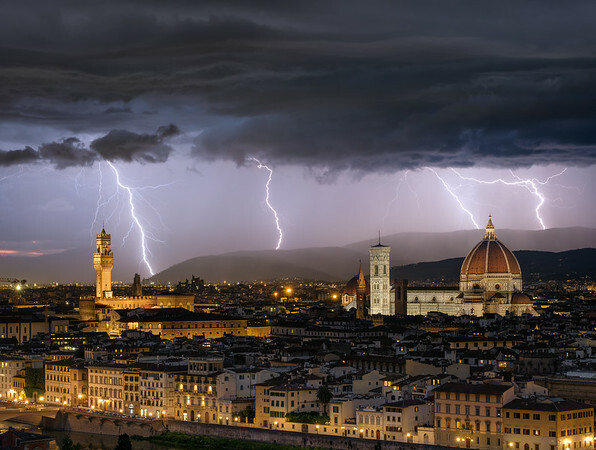 An intense thunderstorm rolls through the ancient city of Florence as lightning strikes all around. 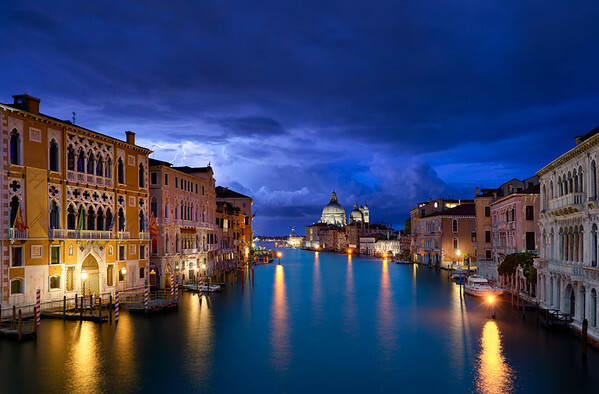 One night in Venice Italy, I was transfixed by the beauty of an incoming turbulent thunder storm. 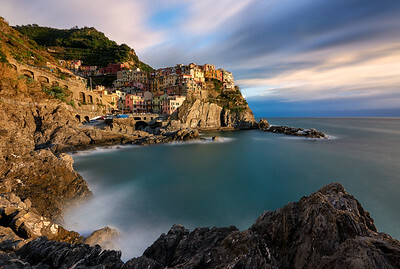 Beautiful golden light engulfs the stunning rocky coastine of Manarola in Cinque Terre Italy. 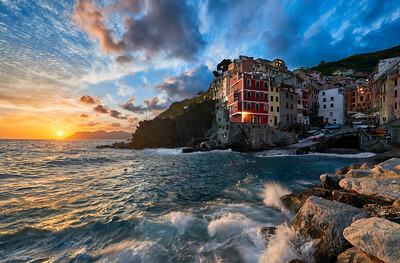 An unbelievable sunset in Riomaggiore as the waves crash on the rocky coastline of Cinque Terre. 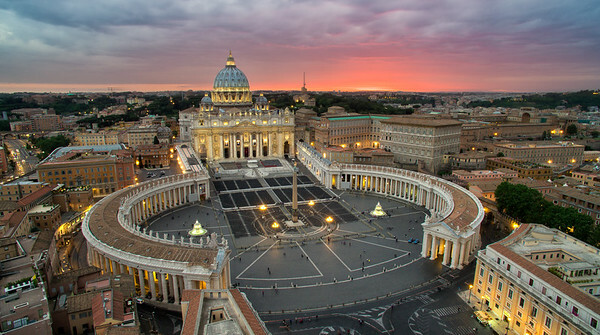 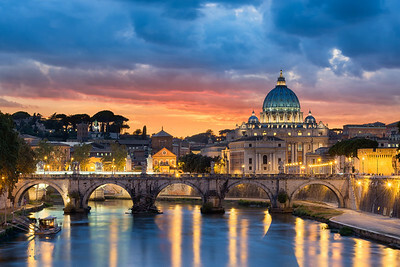 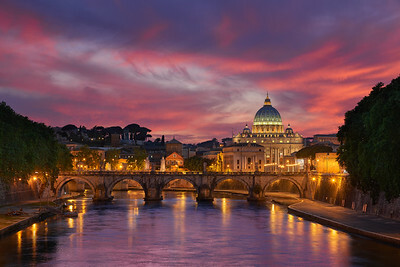 A spectacular view of Rome from the air as the sun sets over the Vatican and Piazza San Pietro. 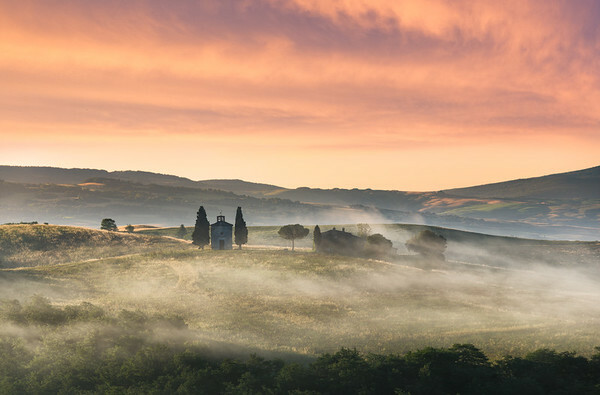 A brilliant dawn breaks in the misty hills of Tuscany and La Cappella della Madonna di Vitaleta. 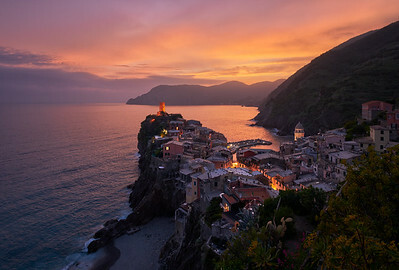 An phenomenal sunset in Vernazza, Cinque Terre Italy - one of the most beautiful travel destinations in the world. 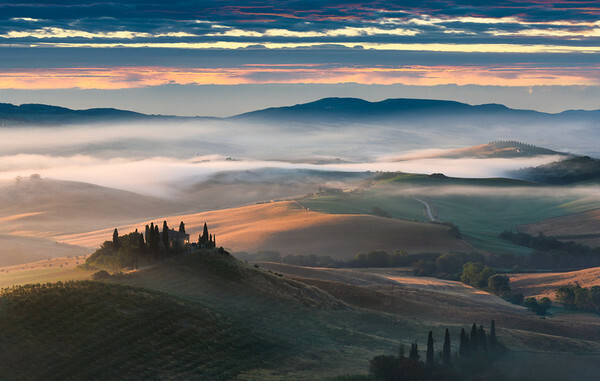 Colors and light blend beautifully as soft fog rolls through the enchanting hills of Val d'Orcia Tuscany. 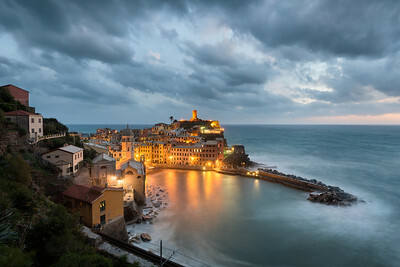 A powerful storm begins to engulf the beautiful Italian town of Vernazza in Cinque Terre. 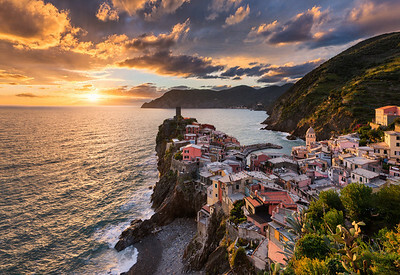 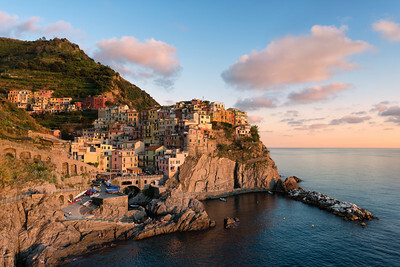 A beautiful sunset in Manarola, one of the most enchanting little towns in Cinque Terre, Italy. 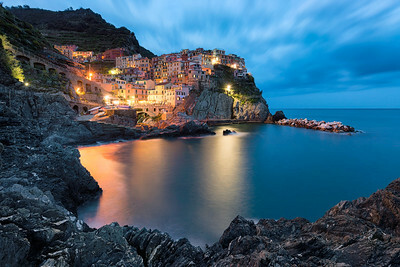 A breathtaking twilight in Manarola, one of the most beautiful towns in Le Cinque Terre. 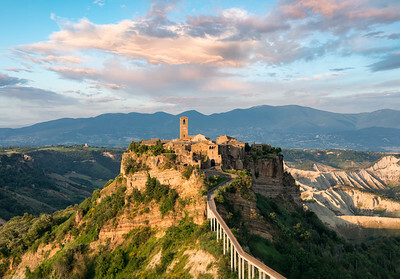 A remarkable sunset over Civita di Bagnoregio. 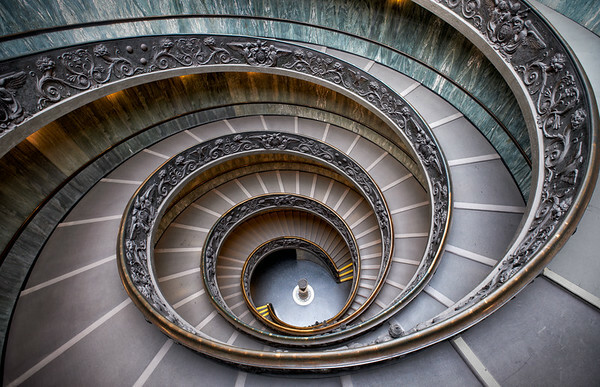 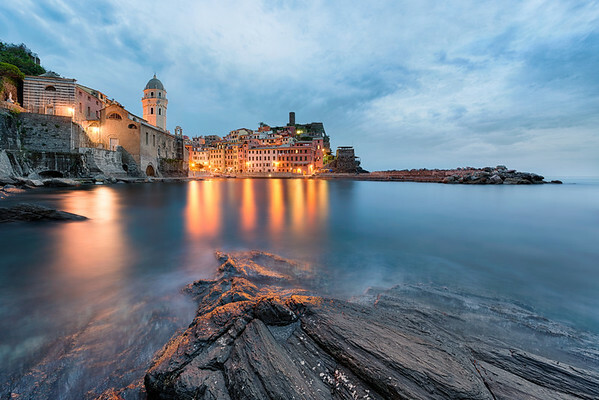 Italy’s Castle in the Sky. 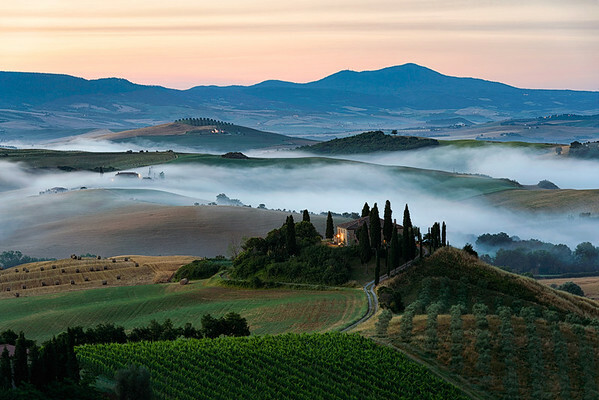 In the morning twilight, soft fog sweeps through the beautiful rolling hills and valleys of Tuscany, Italy. 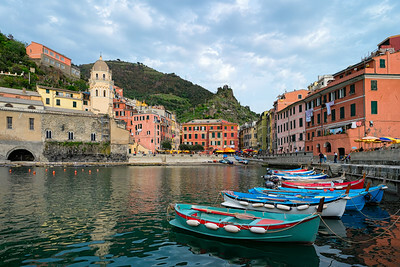 The beautiful Vernazza at twilight, one of my favorite towns in Cinque Terre, Italy.